Michael Shults made a reasonable request in his thoughtful response to a recent Plastic Sax post that linked to Natalie Gallagher’s story about Eddie Moore. Great article on Eddie and I have really liked Natalie's writing on jazz for the Pitch! What's with every single music critic's obligatory preamble about how nobody's actually listening/the crowds are sparse at jazz-oriented gigs, though? Can we put a moratorium on this angle for awhile? Lookin' at you too, Bill. Shullts isn’t the only person who objects to this recurring story line. The appeal merits a detailed response. The official narrative constructed by the staffs of tourism bureaus and public officials- most of whom I've never encountered at a jazz performance- is that Kansas City’s populace is obsessed with jazz. The fallacy is perpetuated by jazz educators (lookin’ at you too, Michael) and enthusiasts wearing rose-colored glasses. Regularly attending attend rock, hip-hop, pop, classical and R&B shows provides “music critics” with the benefit of context. Natalie and I mention the poor attendance and audience indifference at jazz gigs because it's shocking. We generally don’t encounter empty rooms and disinterested listeners elsewhere. Jazz isn’t being singled out. My review of Kanye West's 2013 concert at the Sprint Center was a lead item at aggregators like the Huffington Post, Reddit and the Drudge Report because I observed that the arena was only a quarter full. It was a tantalizing story when less than 5,000 people purchased $44.50-$125 tickets to see Yeezy. It's also a story when less than 200 people paid $10-$50 to attend a well-promoted concert by the leading jazz luminary Julian Lage at the 1,050-seat Folly Theater last weekend. I’ve attended several jazz gigs by Kansas City musicians in 2015 at which the audience numbered less than ten. It breaks my heart. And for the hundredth time- these observations aren’t a reflection of the quality of the music. I have no intention of glossing over the discouraging reality that so few people in Kansas City currently share our passion for this music. Ann Hampton Callaway will join the Kansas City Jazz Orchestra at Helzberg Hall for the big band’s annual holiday concert on Tuesday, December 8. The diva demonstrates her cabaret side in the embedded video. *Eddie Moore is the subject of a lengthy profile in The Pitch. *KC Jazz Lark touts the new issue of JAM magazine. *The Kansas City Star reviewed Diana Krall’s return to the Midland theater. *Libby Hanssen reviewed Julian Lage’s concert at the Folly Theater. *The Pitch recommends New Jazz Order’s weekly gig at the Green Lady Lounge. *Joe Dimino’s recent interview subjects include Michael Carvin. *Comment o’ the Week: Anonymous- My favorite part of her last KC appearance was getting to see Anthony Wilson join Matt Otto for a killer show at the Westport Coffee House. It would be nice to hear that again. As “Kansas City & All That Jazz” aired on KSHB on September, a friend who listens primarily to punk rock sent me an enthusiastic series of texts about the broadcast. He loved the documentary and admitted that most of the information it imparted was new to him. The 55-minute program has been sitting on my DVR since the initial broadcast but I only recently got around to watching it. “Kansas City & All That Jazz” is a slick if somewhat dry effort that tracks the development of Kansas City jazz. A heavy emphasis is placed on the role played by the Mutual Musicians Foundation. The production values are first-rate and the pacing is commendable. Ken Burns-style pans over sepia-toned photos are interspersed with interviews with Bobby Watson, Chuck Haddix, Sonny Gibson, Anita Dixon, Jamey Aebersold, Dr. Larry Ridley and James Hathaway. Musicians featured in a jam session at the Foundation include Ryan Thielman, Ernest Melton, DeAndre Manning, Chris Clarke and Lonnie McFadden. Devoted readers of Plastic Sax are unlikely to learn anything new, but “Kansas City & All That Jazz” is essential viewing for anyone with even a passing interest in the history in jazz or in the cultural significance of Kansas City. The production doesn’t appear to be available for purchase (it would have made a great holiday gift), but the documentary certainly merits more than 600 views at YouTube. I adored Diana Krall’s concert at the Midland theater in 2013. Her roots in jazz were implied rather demonstrated. The interpretation of her husband’s exquisite ballad “Almost Blue” in the embedded video is indicative of Krall's sophisticated adult pop. She returns to the Midland on Saturday, November 21. *Joe Klopus’ latest column for The Kansas City Star focuses on Julian Lage’s upcoming concert at the Folly Theater. The Pitch also recommends the show. *Steve Waugh of the Topeka Jazz Workshop was featured on Talk About Topeka. *Pat Metheny trainspotters are excited about the possibility of a new band lineup. *Scott Yanow is among Joe Dimino’s most recent interview subjects. *St. Louis Jazz Notes reports that Stanley Clarke and Eliane Elias will perform separate concerts in the Lou on Saturday. *Tweet o’ the Week: Jack Childress- The Green Lady Lounge is playing jazz tonight. *Comment o’ the Week: Anonymous- Glad to see Drew bringing some interesting stuff to KC. The local guys are too busy keeping their stuff boring so they can play at the Green Lady. From a press release: To celebrate what would have been the 100th birthday of Frank Sinatra, the Kansas City Jazz Ambassadors (KCJA) is sponsoring a gala at the Uptown Theatre on December 12. The Dave Stephens Band is the music headliner. The Jazz Ambassadors will honor Mayor Sly James as the 2015 Kansas City Jazz Ambassador of the Year… Mayor Sly James was chosen the Kansas City Jazz Ambassador of the Year for his unequaled Ambassadorship to jazz and Kansas City… Many have heard the mayor’s “jazz chops” as he’s taken the mic around town… This event will raise funds to support the Kansas City jazz community. The mission of the 31-year-old nonprofit Kansas City Jazz Ambassadors is to promote Kansas City jazz, and raise funds to support Kansas City jazz musicians, jazz initiatives, and jazz education. Drew Williams offered heartfelt thanks to the family and friends who attended his showcase at Westport CoffeeHouse Theater last Wednesday. The body language of at least a couple members of the audience indicated they’d didn't care for egghead jazz. Seated between the only two of 30 people that didn’t seem to have a personal connection to the former Kansas City resident, I adored the nerdy sounds. The ambitious concert began with a 40-minute set of Williams’ compositions. Many of the arrangements performed by an octet resembled Sun Ra-penned pep band fight songs for a mathlete team. Williams occasionally looped his bass clarinet. The contributions of guitarist Jeff McLaughlin and drummer Nathan Ellman-Bell were also intriguing. Although the musicians’ intense concentration on sheet music detracted from the presentation, Williams’ bold experimentation resulted in one the most exciting jazz-based performances I’ve heard in Kansas City in 2015. A subsequent quintet interpretation of material from the New York based trumpeter John Blevins’ Matterhorn album was almost as engaging. Julian Lage, 27, one of the most important musicians of his generation, will return to Kansas City for a concert on Saturday, November 21. He’ll be joined at the Folly Theater by bassist Orlando Flemming and Kenny Wollesen, a drummer best known for his work with Bill Frisell and John Zorn. *Gerald Spaits was interviewed by Natalie Gallagher in advance of his Sax and Violins show at the Westport Coffeehouse. *Joe Dimino’s recent interviews include chats with Matt Villinger and Chris Hazelton. *Hermon Mehari was featured by a design studio. *The Pitch notes that Kevin Mahogany will be in town this week. *Will Matthews was highlighted on KCUR’s Local Listen. *The Kansas City Star reports that a memorial to Rowena Stewart, the founding executive director of the American Jazz Museum, will be held at the Blue Room on Thursday, November 12. Mike Metheny is very smart. He’s also extremely funny. It’s difficult to discern, consequently, if the press release that accompanies his new album Twelve For the Road is meant to be taken seriously. My checkered career as a jazz soloist can be seen in two parts. Part one: I’m getting away with this mostly because of my Pat connection- along with the support of some very talented colleagues and equally generous listeners- and part two: because the vote is in on part one, it seems like a good time to try something different. With all but one of the ten selections consisting only of Metheny on keyboards, Twelve For the Road is not a “jazz” album. Instead, much of the project resembles electronic space music in the vein of Steve Roach and Tangerine Dream. Almost all of it is closer in spirit to the classical composer Erik Satie than to the jazz trumpet star Clifford Brown. Is Metheny trolling? I don’t think so. As someone who occasionally enjoys listening to the syndicated radio program “Hearts of Space” and who frequently uses Satie’s “Gymnopédies” to calm himself, I’m not unaccustomed to the approaches Metheny employs on the album. Much of Twelve For the Road possesses an ominous edge. Guitar-like wailing makes “Catharsis” the album’s most conspicuously aggressive selection. “Ostinato,” a comparatively conventional track, contains intriguing pairings of textures. The odd lilt of “Carousel” evokes Antonio Carlos Jobim. The unconventional approach of Twelve For the Road is decidedly offbeat, but it results in one of Metheny’s most artistically and emotionally compelling albums. John Blevins is touring in support of his new album Matterhorn. The New York based trumpeter will lead a band at the Westport Coffeehouse on Wednesday, November 11. *Chris Robinson reviewed Eddie Moore and the Outer Circle’s Live in Kansas City. *Danny Alexander wrote a thoughtful review of a new album by Johnny Hammil’s Gav7d. *Natalie Gallagher dares to dig into the BCR archives. *The Ptich recommends a Megan Birdsall gig. *A writer for The New York Times ponders the baseball and jazz connections between New York and Kansas City. *Chris Burnett elucidates a friendly World Series wager made by the American Jazz Museum and the Louis Armstrong House Museum. *Tweet o’ the Week: Darcy James Argue- Congratulations to Kansas City for recapturing the coveted Jazz Capital of the World title for the first time since 1936. *I apologize for not updating the Kansas City Jazz Calendar for November. I’ll get to it this weekend. *From Gerald Spaits: Sax and Violins, A Double Quartet… featuring: Gerald Spaits on Bass, Charles Perkins: alto sax, Bass Clarinet, Rich Wheeler: Soprano sax, Tenor sax, Brian Steever: drums and percussion (and) Strings: Adam Galblum : violin, Matthew Bennett: violin, Chisitine Grossman: viola, Justin Cowart: cello. This concert features original music of Gerald Spaits as well arrangements of Thelonious Monk, Duke Ellington, the Beatles and more… I've brought this particular group together to explore new possibilities in combining different genres of music in an improvising setting… The strings are not just added to the jazz quartet for background but are interactive within the ensemble… 7 p.m. Wednesday, November 18, 2015, Westport CoffeeHouse Theater. $10.00. You can take the boy out of Kansas City, but you can’t take Kansas City out of the boy. A recent visit to Powell’s Books in Portland allowed me to acquire a few out-of-print books related to Kansas City jazz at reasonable prices. I regret not adding the pictured tome to my collection. “Chillaxin’” is the quintessential smooth jazz song title. The saxophonist and bandleader Euge Groove will likely perform the selection during his appearance at the Gem Theater on Thursday, November 5. *The Pitch reports on the shuttering of Broadway Kansas City. KC Jazz Lark ponders the closing. *Natalie Gallagher documents a memorable night at the Mutual Musicians Foundation. *Joe Klopus decodes the “JazzAlice” project. *KCUR featured a track from Ron Carlson’s new album in a Local Listen segment. *The New York townhouse that was once Charlie Parker’s home is on the market for $9,250,000. I wrote about visiting the site earlier this year. *Hmph was interviewed on KCUR’s Up to Date program. *Pat Metheny took the honors at the top guitarist in the Downbeat Reader’s Poll. *Tweet o’ the Week: Brett Jackson- Live recording with the #boogaloo7 at the #greenladylounge tonight. Come lay down your best tracks with us!! *Comment o’ the Week: Anonymous- Maybe more people would come to these gigs if even the least little attempt was made to promote the show. Your review was the first I'd heard of it. *From Michael Pagán: I am pleased to announce the residency of Thomas Knific in Kansas City next weekend. Tom is a seasoned bassist who has performed with a long list of music luminaries. He is Director of Jazz Studies at Western Michigan University (in Kalamazoo)… He is an accomplished composer, performer, and master teacher… Knific will work with students in the jazz program of Ottawa university on Friday October 30 and perform at the Blue Room in Kansas City that night (8:30 PM) in a quartet led by Michael Pagán with clarinetist John Blegen and guitarist Rod Fleeman. On Saturday Oct. 31st, he will present a duo masterclass/concert with fellow bassist Bob Bowman (KC location TBA). A Lee Konitz performance provided me with a transformative experience in March. I hoped to bookend that highlight of 2015 with John Gross’ appearance at Westport Coffeehouse last week. Gross, 71, is another saxophonist who communed with jazz giants as a young man. The native Californian was once embedded in the West Coast cool jazz scene. He later toured with several prominent big bands. Gross is now based in Portland. I hoped to hear Gross play like this. Instead, Gross and saxophonist Matt Otto, a trombonist from Stevie Wonder’s touring band, guitarist Danny Embrey, bassist Ben Leifer and drummer Brian Steever played sleek post-bop. Wednesday's elite lineup was virtually incapable of playing anything less than stellar. Even so, the uncomfortably low turnout became an oppressive burden for both me and for the band . I bailed after about 40 minutes of exquisite music. The St. Louis based saxophonist Tim Cunningham performs at the Blue Room on Saturday, October 24. Fans of Grover Washington, Jr. are in for a good time. *Feast reports that the jazz venue Broadway Kansas City may soon become a Scandinavian restaurant. *Chris Hazelton’s Boogaloo 7 and Molly Hammer are among the critic’s picks in The Pitch’s Best of Kansas City awards. The Green Lady Lounge, Mark Lowrey and the 18th & Vine Jazz and Blues Festival are among the reader’s picks. 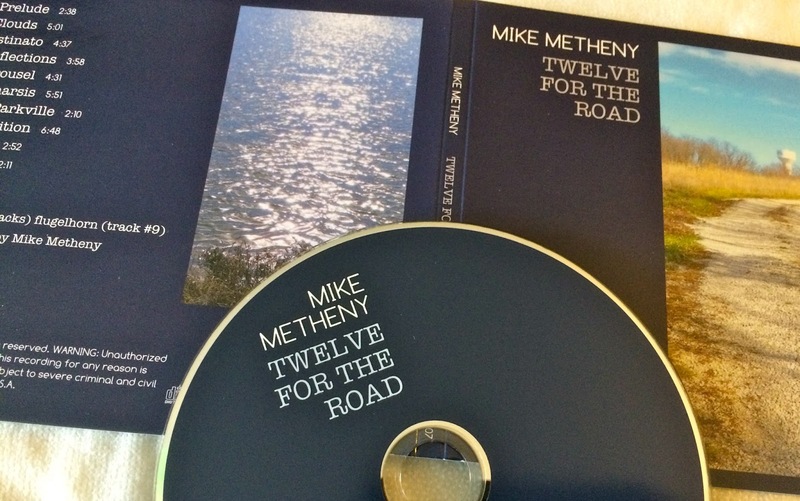 *Mike Metheny created a video preview for his forthcoming album Twelve For the Road. *The Count Basie Orchestra will release its first Christmas album on November 6. Here’s a video trailer for A Very Swingin’ Basie Christmas. *Christ Community is hosting the 2nd Annual Brookside Jazz Festival on November 7. *The Pitch recommends Ron Carlson’s series of gigs at the Art Factory. *A critic for KCUR reviewed Hmph’s Headrush. *Joe Dimino interviewed Leo Wadada Smith and Charles Tolliver. Ron Carlson’s new album Kind Folk is dedicated to Charlie Haden and Kenny Wheeler. The title track of the project would almost certainly have pleased both jazz legends. The core band of saxophonists Rob Scheps and Roger Rosenberg, guitarist Carlson, bassist Bob Bowman and drummer Brian Steever interpret Wheeler’s composition with the elegant finesse associated with the late bassist and trumpeter. Scheps and Rosenberg shine on John Abercrombie’s “Soundtrack” and Haden’s exquisite ballad “First Song.” Rosenberg’s bass clarinet gives the latter selection an old world feel. Kind Folk provides valuable documentation of the New York based Scheps’ annual collaborations with Kansas City jazz musicians. The pairing of Bowman, a Kansas City institution in the midst of a late career renaissance, and the energetic young Steever, reflects Carlson’s savvy as a bandleader. Three prominent Kansas City jazz vocalists- Shay Estes (“A Felicidade”), Angela Hagenbach (“Bye Bye Country Boy”) and Kathleen Holeman (“A Beautiful Friendship”)- are also featured on Kind Folk. Carlson is content to let his consistently tasteful Kenny Burrell-style playing augment the contributions of his bandmates. His thoughtful statement on “J.S.”, the album’s gorgeous closing track, lasts less than a minute. In electing to act in a complementary role, Carlson has overseen the creation of a solid album of mainstream jazz. Kansas City has more excellent trumpeters than stages to properly accommodate them. Ryan Thielman has a rare headlining gig at the Blue Room on Monday, October 19. *Michael Pagán is among Joe Dimino’s recent interview subjects. *Ryan Heinlein was interviewed by Wichita’s NPR station. *A blogger shares his notes about his favorite R&B and blues performances at the 18th & Vine Jazz and Blues Festival. A commenter disagreed with the plea for more jazz: "To much Jazz outside stage, needed more up beat music… Seemed like to much music for such a small attendance." *A video for “Slow” provides another preview of Logan Richardson’s forthcoming album Shift. *Angela Hagenbach is participating in the Sarah Vaughan International Jazz Vocal Competition. *Dominique Sanders has released X-Life, a collaboration with Leonard Dstroy that’s billed as “an amazing journey between Hip-Hop, Jazz, Soul, and R&B." *Tweet o’ the Week: John Hilderbrand- A belated RIP to Larry Rosen. I was such a huge fan of GRP Records. *Comment o’ the Week: Anonymous: I don't get it. Conrad Herwig is one heck of a trombonist but he is not going to sell a single ticket to the 18th and Vine Festival. Well, maybe one or two and thats a big maybe. *From Ron Carlson: The new seven part Fall Jazz Series starts this week at The Art Factory! The Art Factory is located at 5621 W 135th St in Overland Park, KS (at the SouthWest corner of 135th and Nall Ave). Bob Bowman is featured on four of the seven events, each time with different groups. The full calendar is available at The Art Factory. I had low expectations for the 2015 edition of the 18th & Vine Jazz and Blues Festival. None of the headliners initially excited me and I was disappointed in the reduced number of stages. Sometimes it feels good to be wrong. Here’s a recap of three performances. The only significant delay of the festival prevented me from seeing much of Kahil El’Zabar in the Blue Room. I loved the mystical music I heard by the Chicago based percussionist and vocalist. The R&B crooner Dwele seemed more interested in talking than singing during his appearance on the main stage in front of the festival’s largest audience of more than 1,200. Shades of Jade was far more compelling in an overlapping set for a few dozen people in the Gem Theater. The Kansas City group appears to be fully committed to neo-soul, although Josh Williams J-Will played a few intriguing effects-laden trumpet solos. Derek Cunigan’s vocals on “That One” were exquisite. on Friday, October 9, and Saturday, October 10. Saxophonist Mark Southerland will join the Oklahoma based band at the intimate coffee house. Plastic Sax interviewed JFJO’s Brian Haas in 2009. *The 18th & Vine Jazz and Blues Festival was previewed by Joe Klopus. The Pitch’s Jazz Beat writer focused on Conrad Herwig’s appearance at the annual event. *Jessie Riggins reviewed the opening concert of the Kansas Jazz Orchestra’s new season. *Logan Richardson introduced his new album Shift in a four-minute EPK. *KC Jazz Lark shared photos of last month’s Prairie Village Jazz Festival. *Mark Lowrey was featured on KCUR’s weekly Local Listen segment. *The Kansas City Star highlighted Vewiser Dixon’s plans for the area to the south of the Jazz District. 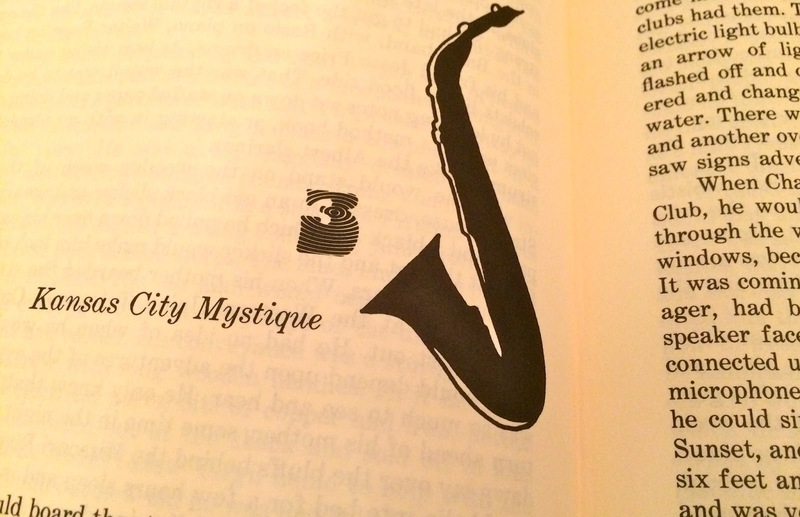 *A blogger recalled two Phil Woods concerts in Kansas City in a remembrence of the late saxophonist. *A barbecue restaurant named 18th & Vine opened in Dallas this week. Peter Schlamb’s electrifying Tinks was Plastic Sax’s top album of 2014 by a Kansas City musician. The sonic innovation, emphasis on memorable compositions and an absence of prolonged solos made Tinks entirely refreshing. All Night, the solo debut of keyboardist Matt Villinger, features Schlamb on vibraphone. Recorded in the same Edwardsville, Illinois, studio as Tinks, All Night sounds like Tinks’ funkier sequel. Villinger evokes a young Bob James on the soulful opening track “Chillinger.” “You’re the One for Me” is like an update of James’ “Angela,” the theme song for television’s “Taxi.” Villinger also uses a vocoder on the title track, a midtempo song capable of resonating with Daft Punk fans. Trumpeter Hermon Mehari is excellent throughout. Hiis heavily processed solo on “Dart Bomb” is particularly thrilling. Bassist Nick Jost and drummer Sean Mullins round out the band. Following in Schlamb’s footsteps, Villinger recently moved from St. Louis to Kansas City. All Night indicates that he promises to be a similarly constructive presence on the scene. Jazz purists might initially be alarmed when they first glance at the lineup of the American Jazz Museum’s 18th & Vine Jazz and Blues Festival. Blues and R&B acts make up a significant portion of the offerings. 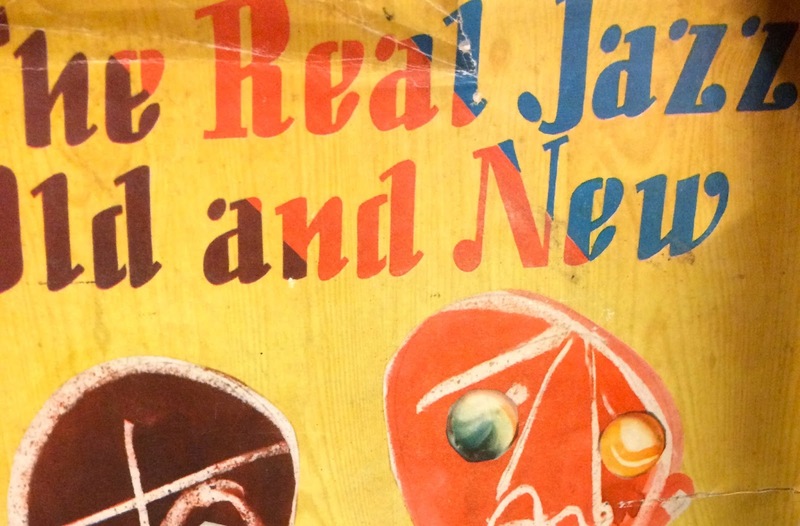 A closer inspection reveals a handful of jazz-oriented gems. I’m most enthused by the presence of Kahil El’Zabar. The Chicago based percussionist is closely associated with his city’s Association for the Advancement of Creative Musicians. El’Zabar is slated to perform with an ensemble led by Dennis Winslett.